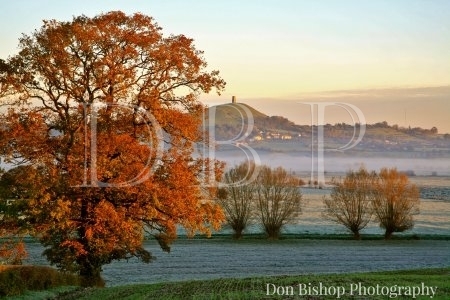 A full days landscape photography including dawn and/or dusk (depending on time of year) on a one to one photographic day with Don giving individual tuition to you alone. Whether you are already a keen photographer and know your way around an SLR – film or digital or a beginner with a new DSLR, just let us know when booking. The date can be agreed between us and as per our other workshop options a poor weather postponment option is available. The workshops are field based and will be held in Somerset, Devon or Dorset along the coast and hills. A full day event starting around dawn and finishing at sunset during the autumn/winter/spring months. The workshop content can be tailored to cover any areas you feel you require help with. We will seek out some good landscape locations for our photographs and work to get the best results possible from we have in front of our lens. Contact us with dates that you may be available so that we can agree a suitable date(s) for your workshop. We try to be as flexible as possible with these workshops so do not list dates in advance. Cost shown is per person on a one day basis. Options are available for 2 or 3 days at a reduced rate per day – contact us for booking details. We suggest you consider booking a hotel/B&B here in Somerset the night before your workshop so that we can make an early start and return for breakfast after the dawn session. Lunch will be taken during the day at a pub local to the location of the workshop. Cost for this workshop will be £299.00 per head.